You all probably remember the time when the wires of the controller were mingled. It was quite a slump to get everything disentangled again and took some time of your precious gaming moments. Today, FunstockRetro has a new device in stock that will solve all these problems. 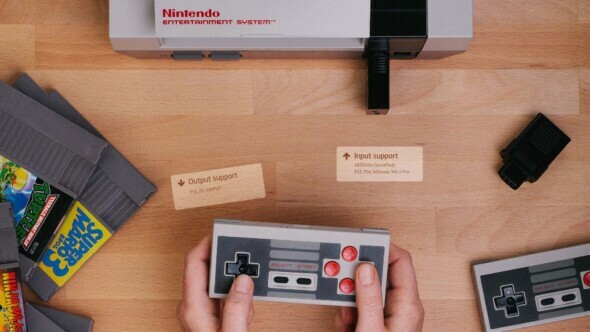 The 8BitDo Retro Receiver is a small Bluetooth Dongle that you can connect to the Retron 5 and NES, making it possible to use modern controllers wirelessly. Even more, this small plug is also usable on PC, Mac and PS3. If you want to order one, visit FunstockRetro’s page!